Fightin Phillies - blogging Phillies baseball: Thawing out.. FightinPhillies.com is back! Thawing out.. FightinPhillies.com is back! Well, that wasn't a long break from writing this Phillies blog.. FightinPhillies is back! I had planned to keep the blog in mothballs for a long time, the practice is called blog fading.. but my passion for the game and the Phils have overridden my need to again bring some writing back to my loyal readers! And thanks for staying with this blog, as the viewing readers approach near 1 million pageviews to this site. The Phillies fan in me and the lust to continue my quest in bringing some great quality content to the readers of the site has been my goal all along as you may have been reading about for some time now. The rich history of the Phillies is one that goes all the way back to the beginning of this ballclub. Remember it all started for the Phillies way back in 1883. In the last 10 years, I've talked with many book authors, some of the most talented announcers in Phillies history including Chris Wheeler and Gary 'Sarge' Matthews. Chris gave me perhaps the best advice of anyone during a conversation that I had with him on the interview that we did... "Just be yourself" is what he told me, and those words at the time sounded so simplistic, but yet so true. Maybe the 1964 season in which the Phils had an epic collapse, had some thing to do with Chris's desire to seek a position in baseball - listen in here to Phillies Talk Podcast for a special interview I did a few years ago - Phils colossal collapse of the Phillies in 1964 with Bryan Soderholm, These two announcers are part of the 'old school' - which is a nod to what baseball was before the advent of 'advanced stats' and the newer ways of approaching the game as if it were something that should be changed after all these years of what I would call conservative baseball. Look at how much the Phillies have changed over the past two seasons. The Phils have always promoted from within, ever since ownership brought in new team President, Andy MacPhail, - whom himself was humbled that the Phils ownership gave him a chance to returidentn to the game he loves after taking a 3-year personal journey away from the game. That story really hasn't been examined or explored at all by Philly media. Maybe it's a story worth hearing. The talk has been about improving for this upcoming season, and we're used to that type of talk over the last 6 years at least. All of this past poor performance is not of course on the watch of MacPhail, but the proof should be in the pudding this year that if the Phillies do not turn in a decent season, the spotlight should be facing squarely in the direction of MacPhail and his GM, Matt Klentak. Things don't change overnight with a ballclub, but with the right moves, ball clubs have turned themselves from worst to first. Pete Mackanin, who the duo had so much confidence in is still here for his opinions and his expertise in the game, though he is not on the field as manager anymore. That leads us up to 2018, a new spirit, a new season, and new set of goals and dreams. The Phils management were looking for a new manager after this past season, the team took a long look at the candidates that were available for the job. There were many talented individuals in this competitive field of experienced ex-managers and other people that want to manage a baseball team. To their credit, Phils management didn't go out and just sign the guy with the most experience. In fact, they went out and did the opposite, hiring a guy that has a passion for baseball and improving not only a baseball team but a guy who could be termed as a maverick in his approach towards sharing his views of how he feels a great ballplayer should be developed. I am excited to see what ex-Dodger employee, Gabe Kapler , will bring to this ballgame. If nothing else, it shows that in an interview, a former player who has played this game but not necessarily had all the 'typical' qualifications to become a major league manager, has taken over this team and will have the opportunity to show Phillies fans and the world of baseball what he knows about the game, and how his philosophy of life, which may not reflect a lot of the fanbase of this team's fans, will be in charge down on the field in South Philly with a talented team of young players that may well benefit from his leadership. I'll be covering the Phils new manager, Gabe Kapler, up close and personal later today at CBP - who is he now and how did his philosophy of the game evolve and did it ever change? What are his plans for this team in 2018? What I like about both he and Phils GM, Matt Klentak is that they aren't your 'typical' old school type of baseball management. Though Kapler is a bit older than the younger Klentak, and even Klentak's road to his job in Philadelphia as the GM wasn't very typical of the way Phillies had done business, he is the GM and has been since his old boss in Baltimore - Andy MacPhail - took a liking to the skills and dedication to the game apparently led to his position of GM of a Major League ballclub. Klentak's arrival in town hit a bump in the road when he clashed with the self appointed king of sports media, Howard Eskin, when Klentak verbally jousted with him about a 'dumb question' - but is their such a thing as a dumb question when it comes to how this team has been performing in the past two seasons? Only about a month to go to the Spring Training season in Clearwater for the 2018 Phillies, for yet another season. Again, I am looking for a few sponsors for the FightinPhillies.com site and my 'news' only site linked called Phillies Reporter - your readership fuels my passion to write for this blog, as I have many other hats that I wear in the space of the baseball world. 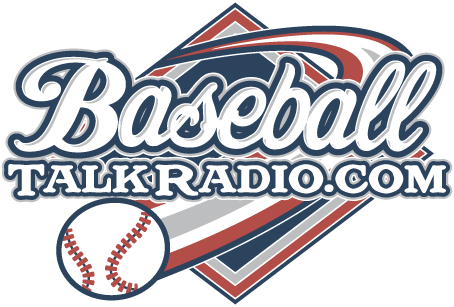 For those of you who don't know about my other baseball endeavors, I am the founder of the BaseballTalkRadio.com site as well that will see great upgrades for the Phillies 2018 season as well. 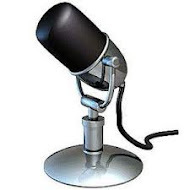 BaseballTalkRadio.com has brought a big voice of independent baseball to listeners for the last several years.